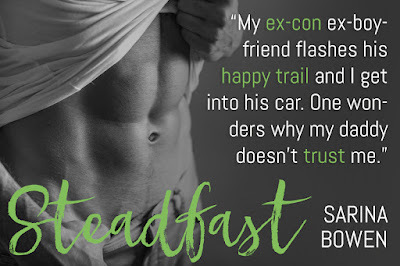 The second book in Sarina Bowen's True North series, Steadfast, was released today! 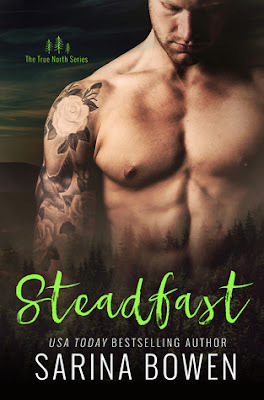 Even if you didn't read the first book in the series, Bittersweet, you MUST read Steadfast! Steadfast was SO MUCH- so much longing, regret, desire, and so very HOT! Jude will grab your heart and you'll feel it squeeze as you read the story of his past and you'll ache with him for the future he thinks he can't have. Sophie is amazing- after the unthinkable changed her life, she became strong for her family, but put herself and her dreams on the back burner. Still an independent woman on the inside, you'll love following her Nancy Drew journey as she investigates the events of the past. 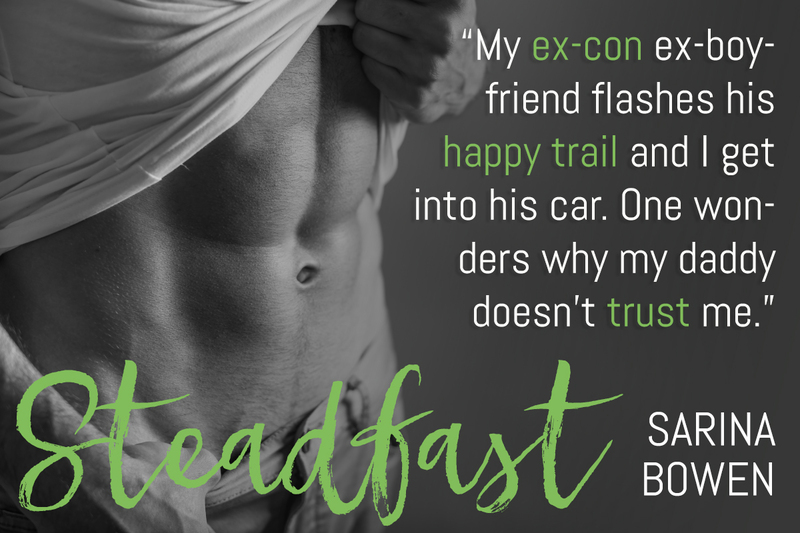 Steadfast has everything you want in a second chance romance and I guarantee it will be on your Best Of 2016 list!